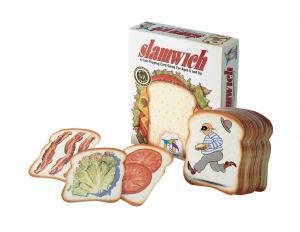 Flip and stack this clever loaf of cards to build slamwiches and double-deckers. Tomato, onion, tomato... slap! Get there first and win the pile. 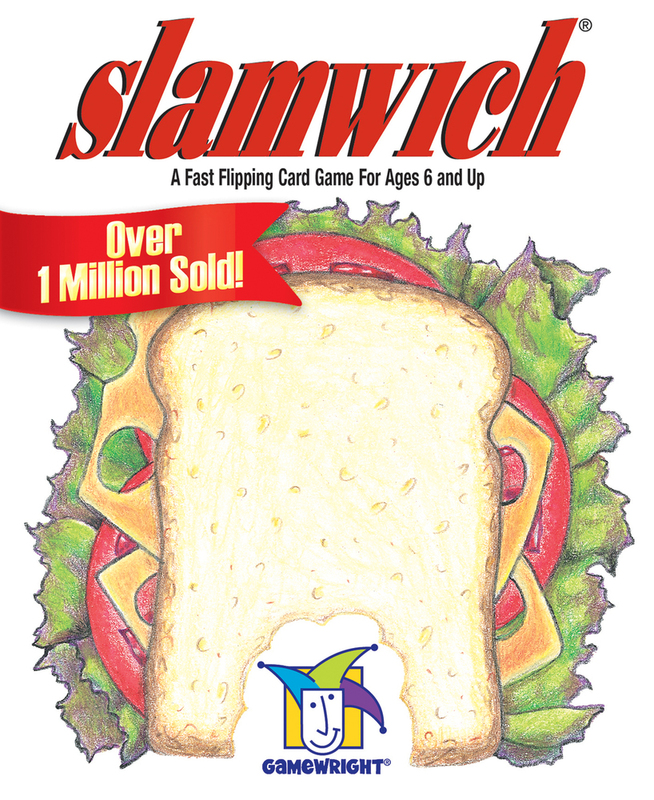 But watch out - you'll have to catch the thief and stop the muncher from stealing the stack of cards. When you're out of cards you're out of the game. 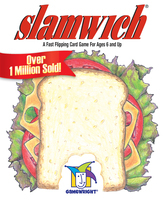 The player who collects all of the cards wins. Parental alert: a sharp eye and fast hand will prevail. Play all out, but the kids will beat you every time! Slamwich teaches reading readiness skills, like visual discrimination and sequencing. While kids are flipping and stacking cards, they're actually learning how to recognize a series, make combinations, and anticipate what might happen. Item size: 4.75" x 5.75" x 1.5"
Carton size: 9.5" x 6.5" x 5.5"